Ag-Grid Energy has a vision to convert agricultural and organic waste into renewable energy, compost and support local area practices that lead us towards a sustainable environment. The company intends to finance, build, own (jointly), operate the waste to energy conversion facilities in US, and has four projects underway in New England. 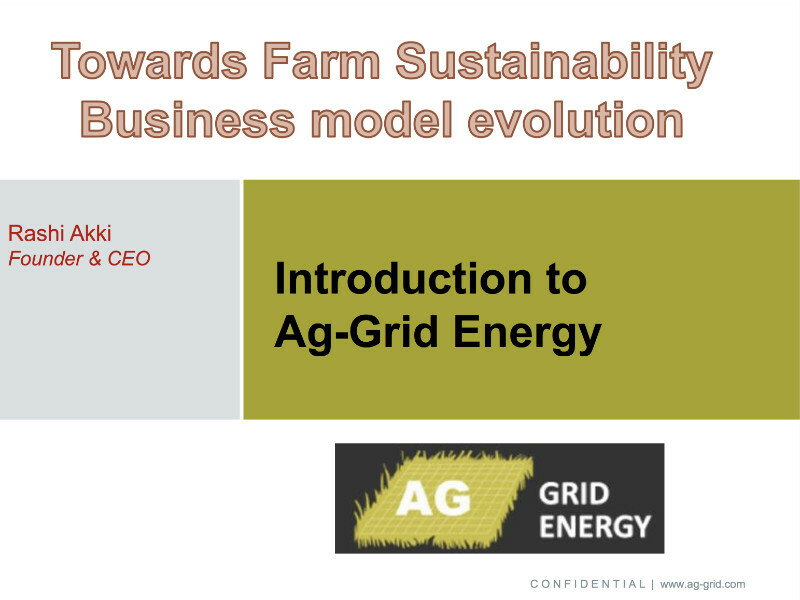 Ag -Grid Energy CEO Rashi Akki gave this illuminating overview of the company;s promise and progress at ABLC 2018 in Washington DC.